We're very proud and excited to announce that we'll be working with the highly regarded artist, Richard Cook. Born in Cheltenham in 1947, Richard studied at St Martins followed by the Royal Academy of Arts. 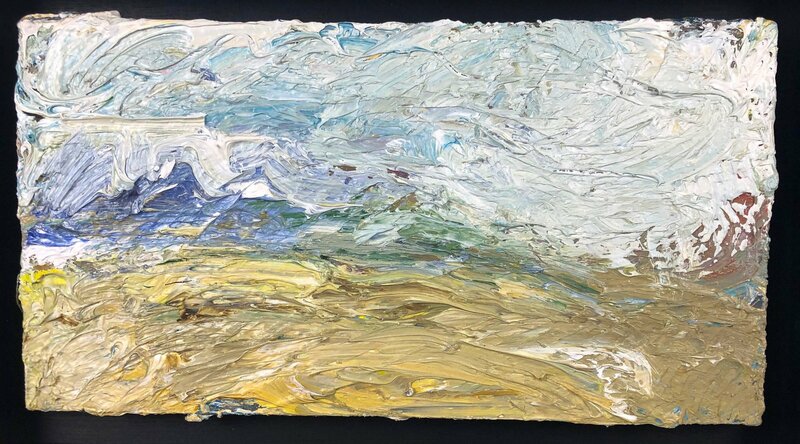 Tutored by Leon Kossoff (an artist who in our opinion can do little if anything wrong), Richard was to share a studio with Kossoff in the 1970s before moving to Cornwall where he's worked and lived ever since. The work we currently have by Richard may be seen HERE. It has everything we love in painting; freedom, energy, expression and true depth. Subject of a solo exhibition at Tate St Ives in 2001, the Tate produced a short film of Richard which may be viewed HERE. It's well worth viewing, giving a good short insight into Richard and his work. From Richard's Kossoff influenced portraiture of the 1970s-1990s through to his latter-day landscapes, we're proud to introduce an artist of Richard's standing to a new audience.